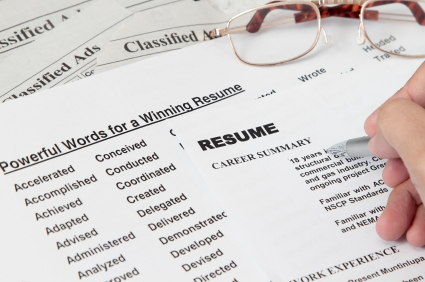 Resume Buzzwords: Do They Mean What You Think They Mean? That’s one of the most famous, most frequently quoted lines from the classic film The Princess Bride—and while it wasn’t actually used in reference to resume writing, it might as well have been. Frankly, there are many job applicants whose resumes use words that they believe to mean one thing, but in fact mean something else altogether. We’re not saying that these jobseekers are ignorant or illiterate, or that they’re using the words incorrectly, strictly speaking. While they may have the definition of the word right, however, they can miss the connotation of the word. In other words, they may be trying to say one thing, but recruiters and hiring managers might read it as something totally different—and less positive. Hard-working. You may use this term to denote that you have a burning passion to put in an honest day’s work, to devote 100 percent of yourself to whatever task you’re handed. The problem is, it’s sort of a vague term that almost anyone could use on a resume, and nobody could really prove. It lacks in specificity, which might lead recruiters to think you don’t have anything more specific or tangible to offer. The way they’ll read it, then, is as desperate. Self– You may use this term to suggest that you’re an independent thinker and that you don’t need a lot of direction. Ironically enough, recruiters often take it in just the opposite way, assuming you to be, perhaps, a little too much of a free spirit, in desperate need of extra supervision to make sure you stay focused on company goals. Team player. This one is almost the opposite as the last. Recruiters won’t necessarily take this to mean that you value unity and collaboration; they may take it to mean that you don’t like to lead or to take initiative, which isn’t always what they want to hear. Reliable. This isn’t really a word that gets the toes a-tappin’, is it? Applicants may use it to suggest that they are loyal and dependable, but recruiters will take it to mean that you’re not really a shining star—that you just show up and take up space, day in and day out. People person. Reads as: Talks too much, or perhaps as Spends too much time at the water cooler. Dynamic, problem-solver, creative thinker, or flexible. Same as hard-working. It just comes across as desperate. When writing your resume, it’s important to think through the implications of each and every word—and, if possible, to pair every adjective you use with measurable, concrete results. To learn more, or to schedule a resume consultation, we invite you to reach out to the Grammar Chic, Inc. resume writing team: Visit http://www.grammarchic.net, or call 803-831-7444.